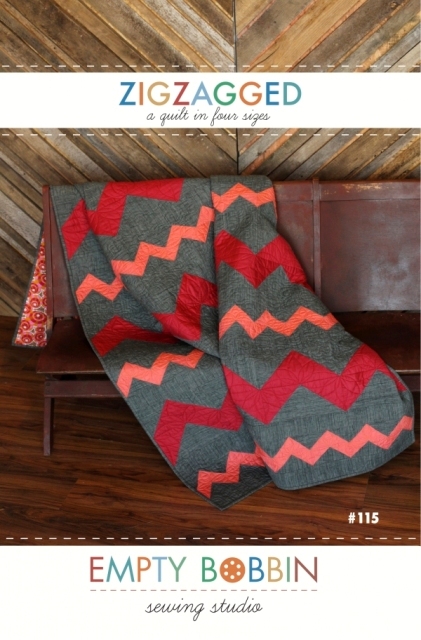 First, a huge thank you to the empty bobbin – I absolutely fell in love with her pattern “ZigZagged” and was able to buy a kit with the pattern and fabrics for the quilt shown on the cover of her pattern booklet! Score! The cover of the pattern booklet is to the left. 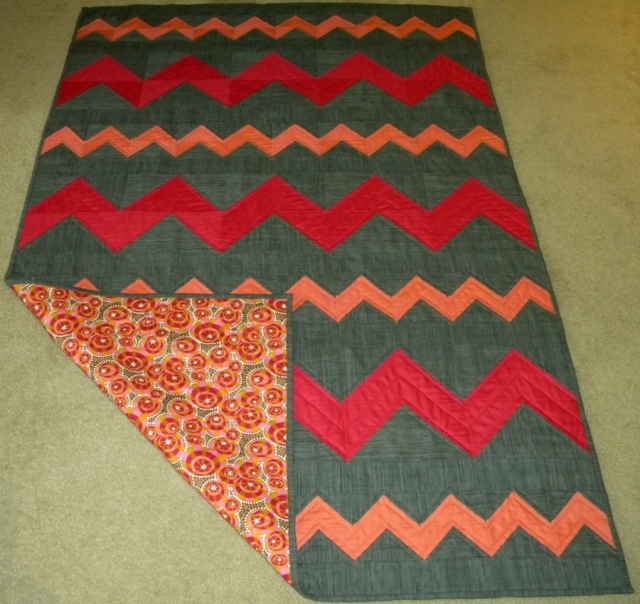 I have done triangles and points in quilts before, but they have always daunted me. However, with the great instructions on starting with a flying geese block, I felt like this quilt really came together faster and easier than I had anticipated! I made this as a lap sized quilt (~50″x70″) for a girlfriend from high school, and I hope that she gets a lot of cozy cuddling use out of it. All the front fabrics are Moda Crossweaves, and the fabric itself is gorgeous – it takes on different hues at different angles and gives a lot of depth and interest to a solid blocking top. All in all, I think the quilt turned out great and it looks just like the sample quilt! Yay! This looks WONDERFUL! I’m so glad you were able to find all of the fabric from the cover sample, too! And yay for the flying geese coming together well for you! I’m so happy to see this!